This question is just for curiosity. These symbols seem quite obscure and rarely used. § is an old-fashioned symbol for a section heading in a document. While documents nowadays rarely include text like "see §2", I believe it's still used in the publishing industry behind the scenes. But even in that specialised application, I would have thought that the paragraph mark ¶ would be typed much more often than the section heading mark §, so it seems weird to have a § key and not a ¶ key. Similarly, the plus-minus sign ± is quite specialised. You might use it often if you are writing a scientific paper with lots of uncertain measurements or a high-school math paper using the quadratic formula, but in those cases it's not clear that ± would be the symbol you need a special key for, rather than ≈, Δ, √ or any number of other symbols. It seems odd to have a dedicated key for these relatively obscure symbols, especially since it doesn't appear on the Apple US keyboard layout, or on a non-Apple UK keyboard. So basically I'm just curious about the reason for this key's existence. Do other British Mac users have a reason to use these symbols often, or is there some known historical reason for the decision to include it? I'd appreciate answers that stick to specific known facts about the reason for the key's inclusion (if such facts are known outside of Apple), rather than speculations. I think only Apple knows the answer to this. The § and ± characters are available on the US keyboard at option 6 and option-shift =. I believe a historical antecedent for the ± key can be found in the IBM Selectric 3 keyboard. Other Apple hardware keyboards with the same key in the same place are Arabic, Bulgarian, Czech, Dutch, English International, Greek, Hebrew, Portuguese, Romanian, Russian, and Turkish. I suspect their users also wonder why Apple gave these two characters such status. A much bigger mystery in my view is why the Apple British keyboard puts the " and @ characters at different places than any normal British keyboard does. Apple eventually had to provide a "British PC" option in system preferences/keyboard/input sources to accommodate all the folks who are used to the British standard. The Apple UK keyboard is technically not a UK keyboard. The UK keyboard is defined by the British Standard BS 4822:19941 which Apple doesn't conform to completely. While it would be beneficial to post directly from this standard, it currently costs £98 or about $130USD which makes it cost prohibitive to source this for this answer. There are notable differences between the two keyboards besides the key in question. The € (Euro) symbol as well as the placement of the AltGr 2 key at the bottom where the left Command key would be. The UK standard Keyboard has a ¬ (negation) symbol where Apple has the § (section) symbol and of course, the US has the ~ (tilde) which is also used to denote negation. 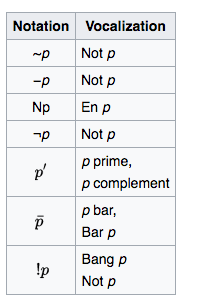 It's conceivable that the US opted for the ~ symbol rather than the traditional ¬ symbol because it not only meant negation, it had a wider range of uses (i.e. "approximately"). Also keep in mind that both the US and the UK keyboard retain the backtick (`) symbol on the same key. Only Apple will know for sure why they chose to "Think Different" when they steered from the US and UK's choice for a negation symbol and go with something completely different. However, it's not outside the realm of possibility that market research told them nobody knew what ¬ meant and to put something that made more sense to people purchasing their products. 1 BS 4822:1994 was deprecated in July 2014 for ISO/IEC TR 15440:2016. 2 Wikipedia: AltGr is a modifier key found on some computer keyboards and is primarily used to type characters that are unusual for the locale of the keyboard layout, such as currency symbols and accented letters. Irresistible to first answer the question in the title: It is used for entering characters that are shaped like this § and ± as defined in unicode U+00A7 for section-sign and U+00B1 for plus-minus sign. Keyboard layouts are for a very large part historically grown and evolved. British needs are a bit different than American needs. Americans most often only need the old Peso symbol $ and while £ is most often needed in insular designs the still close relationship with the continent also requires the €-sign. All those keys have to be placed somewhere and somehow shifted around among a limited number of available keys according to local demand. The British Standard BS 4822 is old and small and it, as well as the international ISO, only defines non-binding recommendations just like the German DIN 2112 and 2137 (which dropped the requirement for a very special Shift 5 a while ago). Apparently there are at least three keyboard layouts for Macs available for (British) English users, two of them with the marked as unusual § position (UK and US-International) all differing from one another and the PC standard. Before the world settled mainly on the two blocks for computer input of Wintel vs Apple there were even more keyboard layouts around, often differing in very peculiar ways. Since Apple has a keyboard layout tradition that dates back to before the IBM PC they were on a different path of dependencies. Although Apple's earliest attempts on the European market did not include such a sign. Depending on intended usage one layout has advantages and disadvantages over the other. English speaking programmers have different needs than French novelists or German lawyers. Who needs the plus or minus sign? Especially users in science and engineering seem likely to request a more prominent placement or reachability, whereas statistics also imply government actors with wants that might signify demand for that character. All these simultaneously form an important group with quite a big say on the formulation of said standards or specialty layouts. Who is in need of a section sign? The paragraph sign ¶ is indeed very rarely seen if you turn off "show invisibles" in your preferred editor. Confusingly, the German name of § is also "Paragraphenzeichen" as well as paragraph sign in Canon Law. Usage of especially the section sign is still very common in law and governance (the biggest customers often restricted to using standardised tools) but also writers of novels and quite a bit of non-fiction. Especially theologians still cling to a very unsightly tradition to use it throughout their books (quite recent example). Since usage of said sign in British publications is indeed quite uncommon there are not much explanations left. In short: historical path dependencies, local needs at the time of standardisation are the general, main reasons; Apple engineers deciding this might be a good idea the other. How can I configure OS X Mavericks to use a UK PC keyboard layout?